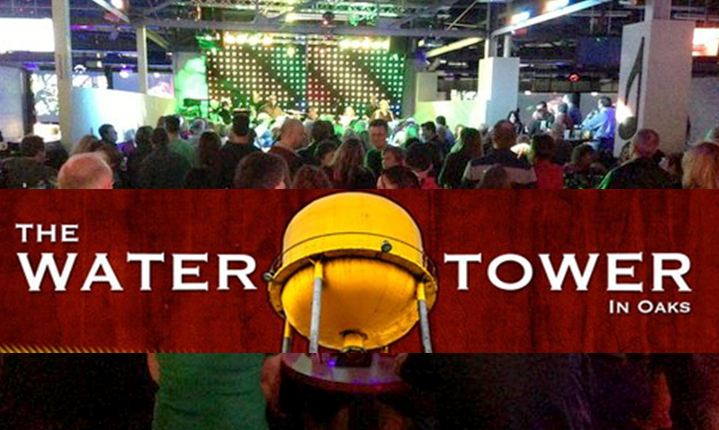 If you are looking to have a fun night out, then go enjoy live music and great food at The Water Tower in Oaks. With superb live acts, a large menu, and a wonderful atmosphere – you’re sure to have a good time and come back again! As the area’s newest and most unique entertainment venue, The Water Tower in Oaks provides perfect music and dancing opportunities. Upcoming acts include the Tommy Froelich Trio, Son’s of No One, JUST ADD WATER, and Whitewalls Band. Even better, there is never a cover charge here and they have various specials throughout the week. The Water Tower in Oaks is situated inside of Arnold’s Family Fun Center, meaning that you can also go bowling and play arcade games. When it comes to food, you can select from delicious options like signature burgers, steak sandwiches, flatbreads, wraps, pizzas, salads, wings, sliders, French fries, and more. So get your friends together and plan a fun night at The Water Tower in Oaks. Enjoy the live music, hit the dance floor, chow down on some fantastic food, bowl a few games, and simply have a great time. The Water Tower in Oaks is located at 2200 West Drive in Oaks, Pennsylvania. For more information, simply call 610-666-0100.